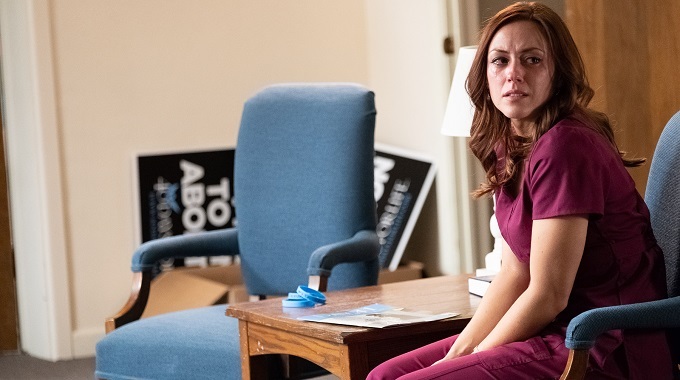 Although marred by the usual faith-based film distractions, Unplanned powers through on the strength of pro-life activist Abby Johnson’s story and Ashley Bratcher’s performance. Johnson is portrayed by Ashley Bratcher who (we learn through a teeth grinding use of narration) lived a contradictory life as a devout yet unbashful pro-choice Christian, leading to her volunteering and working for Planned Parenthood for several years. During this time Johnson herself had two abortions, the process of both is recreated in rather confronting fashion (such is the nature of the procedure). 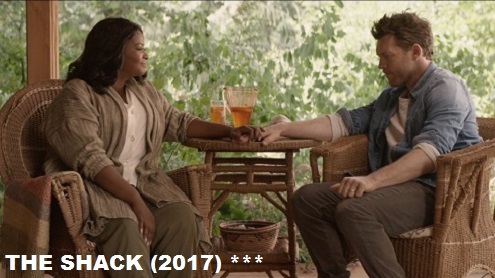 These scenes, along with others, resulted in the film receiving an R rating classification, a first for the Pure Flix brand. Directors Chuck Konzelman and Corey Solomon (the duo who wrote surprise faith-based hit God’s Not Dead) very much stick to a lot of faith-based movie tropes that will appease the initiated yet could potentially repel others. Unplanned is very much a pro-life Christian film that more than once taps into full-blown sermonising, which although caters to their base will hardly change the hearts of others. Music choices (a consistent weakness in this genre) are distracting in their awfulness, opting for over sentimental, tawdry Christian pop as opposed to the right music to elevate the right moments. Konzelman and Solomon deserve kudos for the depiction of Planned Parenthood staff as fleshed out characters as opposed to evil caricatures. Likewise, the depictions of women who choose to have an abortion are not demonised. 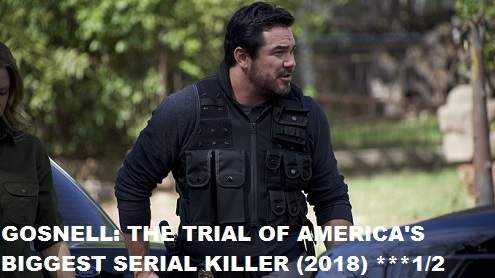 That treatment is saved for the role of Cheryl (Robia Scott) a regional director for Planned Parenthood whose scowl is as ice-cold as her stance against the unborn. Planned Parenthood is indeed depicted as a callous and cold organisation, that profits on the back of its accelerated abortion services. Considering some of the reporting on the medical centre, it is a portrayal with much validity. One the other side of the fence is 40 Days for Life, a pro-life Christian group presented with saintly fervour, and while this is all well and good make no mistake Unplanned is all about presenting one side as holier than the other. Cutting through the fog of bias is Ashley Bratcher’s performance. Most of the films 106 minutes is solely on her, and Bratcher is terrific in her portrayal of a woman who finds her life flipped upside down when confronted with the realities of not only her professional life, but of her ideology. Assurance and confidence are replaced with uncertainty and shame, and a career dedicated to ending life is replaced by a ministry dedicated to cherishing life. A less pious film would have made Unplanned more effective, but the core truth of its story works well enough to make Unplanned an essential watch.